The Cotton House Hotel is housed in a listed landmark built in 1879 by Catalan architect Elies Rogent, at the height of the textile industry in Barcelona. The building later became the headquarters of the Catalan Association of Cotton Manufacturers (Fundación Textil Algodonera). 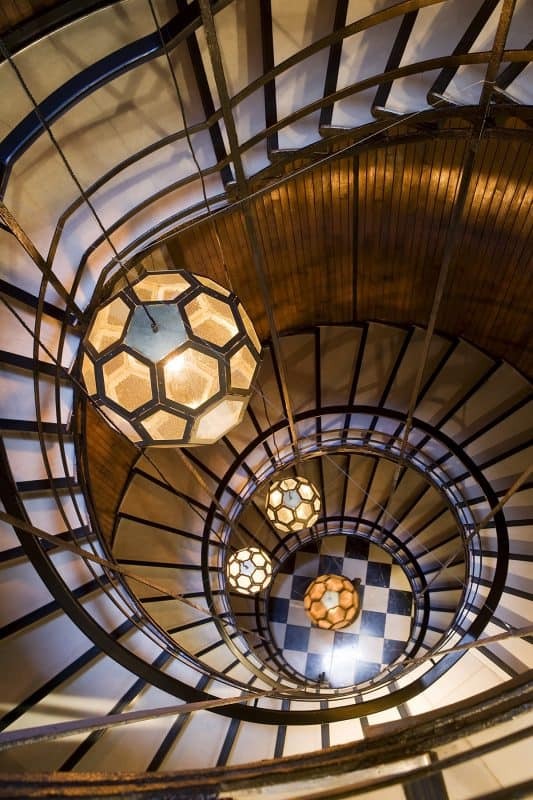 The renovation was done by the interior design studio of Lázaro Rosa-Violán, who also designed Hotel Praktik Bakery and Hotel Praktik Vinoteca. Original elements such as the striking marble staircase and ceiling frescoes have been carefully conserved. Batuar, the Cotton House cocktail bar and restaurant, offers the full menu from 7 a.m. until midnight. The name Batuar originates from the machine that pressed cotton to eliminate its impurities. The library was formerly used by the members of the Cotton Producers Guild for meetings and as a social club. The spacious 300- m2 terrace is accessible from Batuar. The roof of the hotel features a pool and splendid views of the city. In the background you can see Antoni Gaudí’s La Sagrada Família, due for completion in 2026. L’Atelier was the formerly the space where guild-members had their measurements taken by their tailors. The Cotton House Hotel continues this tradition by offering its guests a bespoke tailor service provided by Santa Eulalia. Gossypium is the Latin word for cotton flower. This area of the hotel is dedicated to the concierge service. The hotel has 83 rooms including five suites. The decor is inspired by the white, black and sepia of the cotton plant. Bed linen is made with sheets with 300 thread count mercerized Egyptian cotton. The bathrooms include Ortigia toiletries, made using natural ingredients from the Mediterranean area. The 24 m2 Madras rooms look out onto Gran Vía and have a 2×2 king-size bed. Cotton Rooms are 28 m2 with a 2×2 king-size beds. They look out to an interior patio garden typical of Barcelona’s Eixample neighborhood. The Damask Suite features restored 19th century frescoes on the ceilings, decorative mouldings and marquetry-work parquet. The Damask Suite has a balcony looking onto Gran Vía. The Vichy Suite is a 90-m2 duplex suite including a private terrace. It is located on the upper floor of the hotel next to the outdoor pool and looks out to Gran Vía. Built in 1957, the remarkable spiral staircase is not supported on the floor below, but suspended from the metal frame of the upper floor. Gaudí’s iconic buildings, Casa Milà and Casa Batlló, are within walking distance of the hotel. Nearby restaurants we recommend are El Nacional and Casa Alfonso.